This recipe for Sausage Pinwheels is a variation on classic English Sausage Rolls. 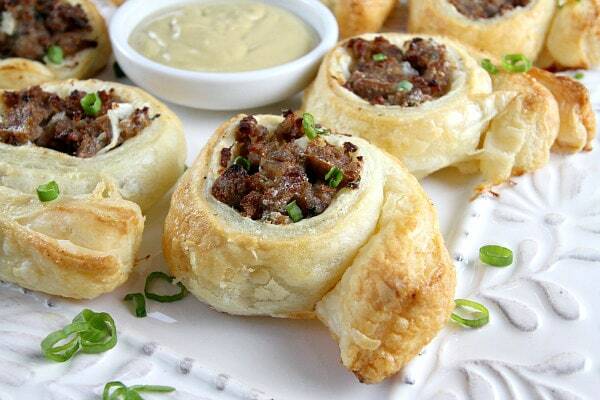 They’re an easy appetizer to make– crumbled sausage with onions, fresh sage and cheese with Puff Pastry rolled around it. Slices of the roll turn into pinwheels when baked. Here’s a special-edition weekly menu for you! We’re here today with some of our favorite food blogs to bring you the Ultimate Christmas Menu Plan. We’ve got you covered from Christmas morning breakfast to the end of the day with dessert and a beverage. 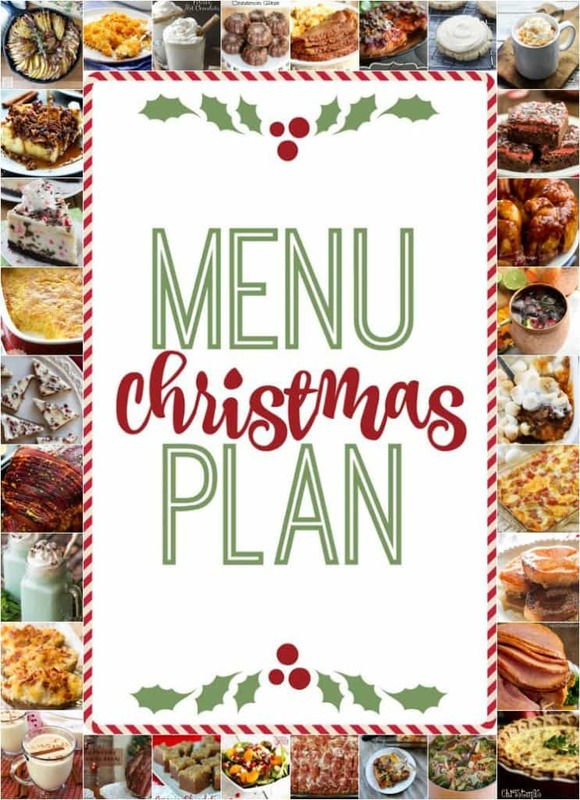 This menu is sure to make your Christmas day is full of food memories!